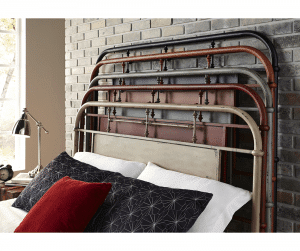 Effortlessly add classic vintage styling to your room with this industrialized bed collection. Complete metal construction, featuring turned spindles, a distressed finish and an accent centre panel, the design is eclectic and versatile, suitable for all types of living spaces. 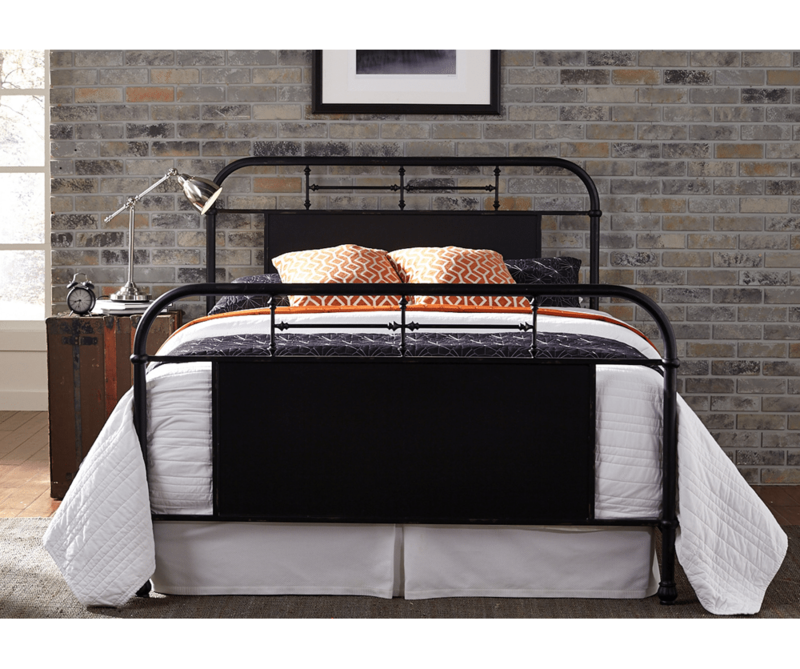 Complete bed and headboard available to custom order in Twin, Full, Queen and King sizes. Alternate colours in black, white, red, green, blue and orange. Inquire in-store for more details. 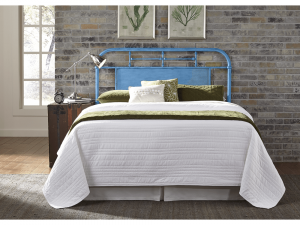 Shown here as a Full headboard in green painted finish. Ready to order online or in-store. Currently not on display in-store as pictured online. 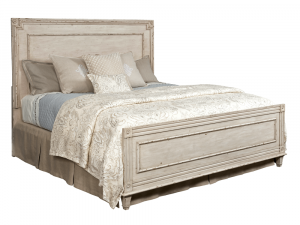 Featuring gorgeous acanthus wood carvings, lavish upholstery and chic embellishments, this architecturally inspired collection resonates with classic European style. 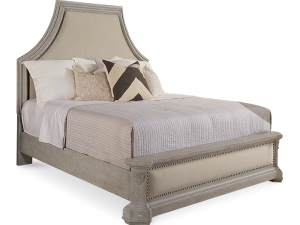 Hard-wood solids, upholstered headboard and metal nail-head trim. Available to order in Parch, a light open-grained finish. 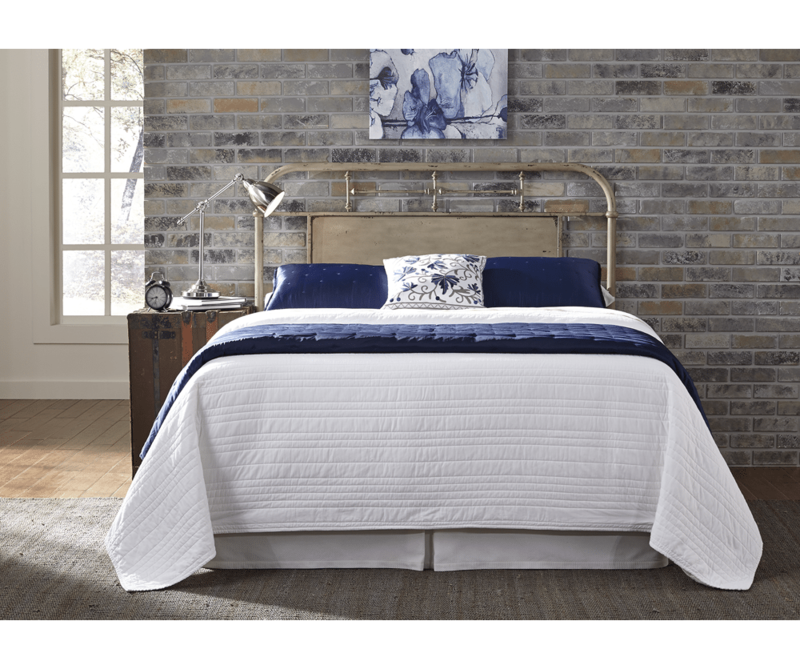 Shown here as a Full headboard in blue painted finish. Bring home that time worn look of old world treasures, with the abiding style of this beautiful collection. 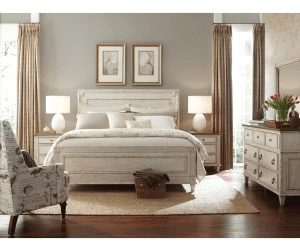 Crafted from hardwood solids, featuring architectural elements such as fluted post, picture framed moldings and tapered legs; the main pieces are wirebrushed with parchment and warm fossil wood tones, while case pieces bear a complementing antique chipped paint finish and beautiful drop ring hardware. Cohesive with the sophisticated style of our fast-paced modern day life. 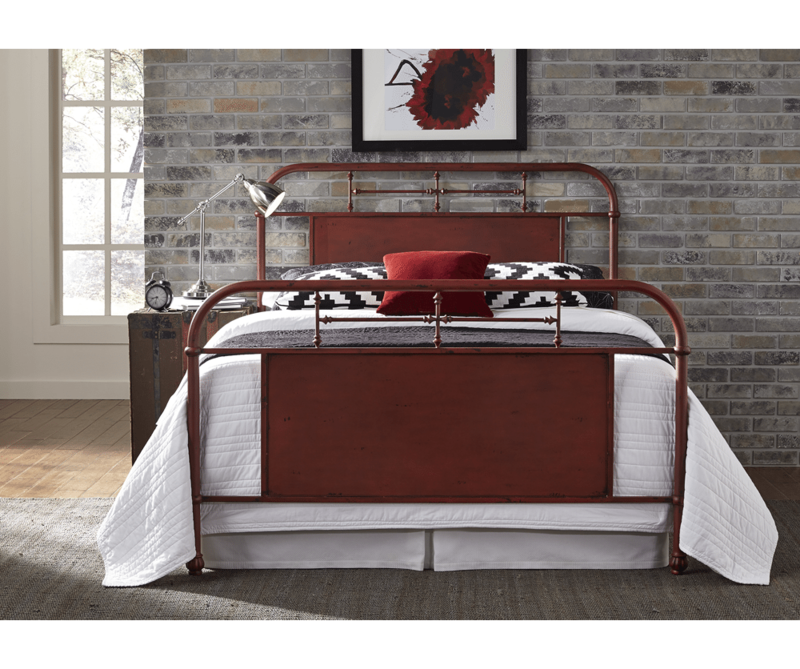 Neatly packaged in solid maple wood and shown here in a gorgeous smoke finish, this collection offers optional mirror fronts and metal hardware. Every piece is crafted with the care of Canadian hands. 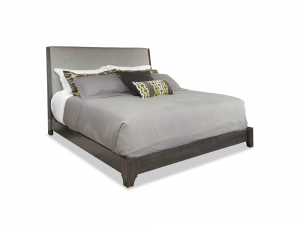 Versatile for a variety of home styles, with clean lines and beautiful frame, the Malena King bed offers a fresh lift on contemporary design. 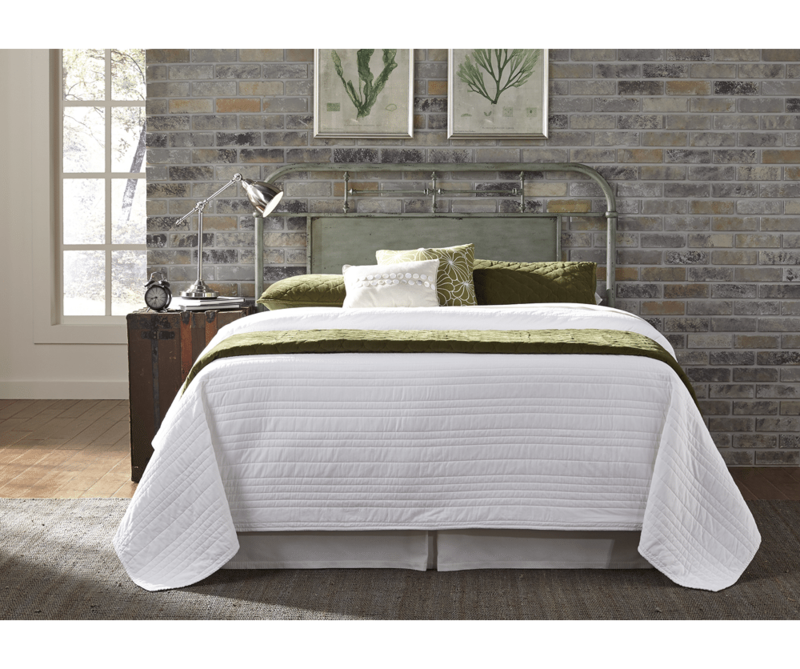 Special Buy pricing applicable only to beds. Complete collection available in alternate finishes at no additional upcharge. Black and gold refined. Elegant six drawer storage cabinet with two doors. 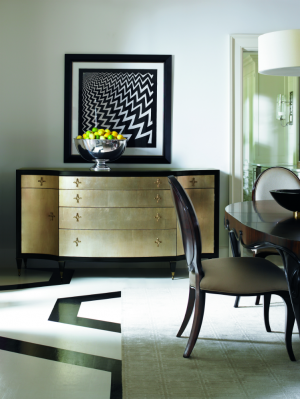 Versatile as a dresser or dining credenza. 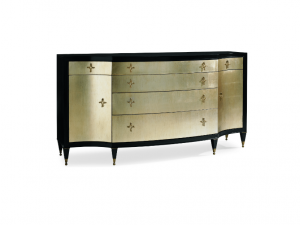 Featuring aged leaf silver finish with satin-like black frame, jewelled with antique hardware. Removable felt-lined jewelry tray with adjustable shelving. Finish available only as shown. Special Buy pricing reflects featured showroom sample.